Rock Paper Scissors is a simple world known board game. Which you can play against Artificial Intelligence. 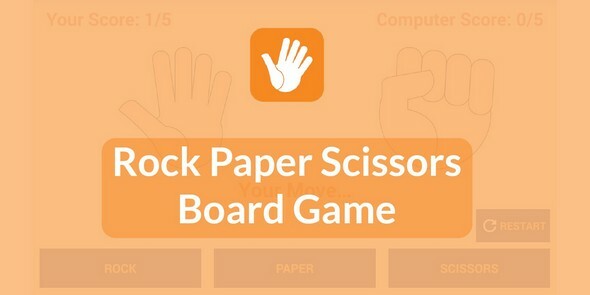 Rock Paper Scissors is a game which is played by the symbols made by hands. You can make various 3 symbols that are Rock Paper and Scissors. Rock wins over scissors, paper wins over rock and scissors wins over paper. The first one who gets five points, wins.